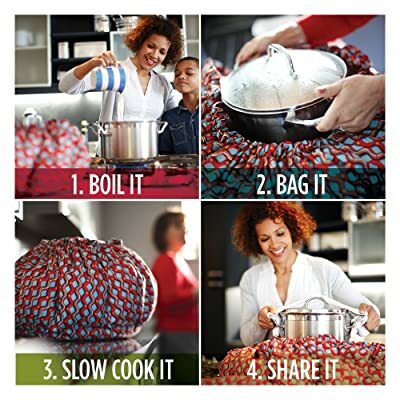 What do you think of this Wonderbag Non-Electric Portable Slow Cooker? • Electricity free and worry free. Away at work or play? Keep your dish cooking for up to 12 hours without electricity, ready-to-serve when you are. • Stress free holidays. Perfect for the holidays when stove and counter space are at a premium. Many uses: keeps items cold or frozen, too! • Fits your home. Works with 2-9 Quart pots with short handles and lid; metal and cast iron work best.